FTCash, a mobile payments platform for micro merchants in India, has raised $150,000 (around Rs 1 crore) in pre-Series A funding led by IvyCap Ventures through the IvyCamp platform. The new capital will be used for product development as well as customer and merchant acquisition. Run by Nomisma Mobile Solutions Pvt Ltd, FTCash allows merchants and customers to use multiple payment options â€“ wallets, cards, net banking, etc., through a single platform. "This is amongst the first few investments of IvyCap Ventures Trust Fund II and forms part of our early stage strategy, through which we have allocated Rs 60 crore for early stage investments via the IvyCamp platform," said Vikram Gupta, founder and managing partner of IvyCap Ventures. IvyCamp, an initiative of IvyCap Ventures, is a platform that connects startups, mentors, institutes, corporates, investors, and incubators, to help grow the entrepreneurial space in India. The company was founded in 2014 by Sanjeev Chandak, a Wharton Business School/IIT Kharagpur graduate and former deputy CFO of Deutsche Bank India, and Deepak Kothari, a chartered accountant who has earlier worked with KPMG and Grant Thornton. "Small merchants have traditionally been outside the financial ecosystem with over 80 per cent using cash and hence limiting their ability to get loans from banks. 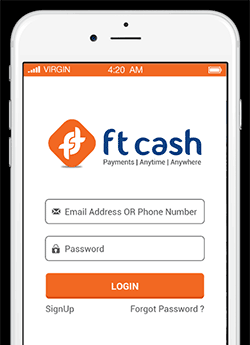 FTCash enables electronic payment acceptance using their existing bank account and a basic mobile phone," said Chandak. IvyCap Ventures has made investments in Aujas Networks, FieldEz Solutions, Vinculum, E-Shakti, Leixir Labs Purplle.com, Sokrati, Bluestone, Clovia and Taskbob. In India, the biggest player in the mobile payments segment is Paytm. Other players include MobiKwik, Citrus, and PayUMoney. FTCash IvyCap Ventures Advisors Pvt. Ltd. Nomisma Mobile Solutions Pvt. Ltd.